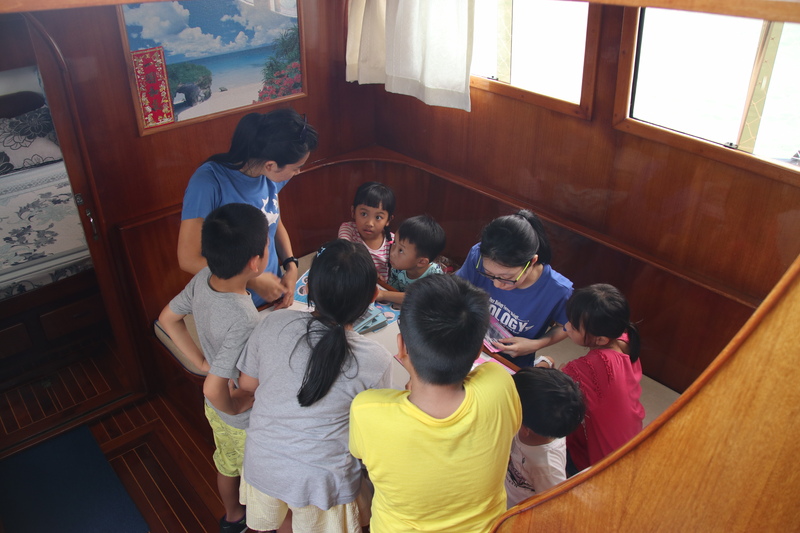 I stayed in office as usual for these 2 weeks and went on a boat trip on 19 July. 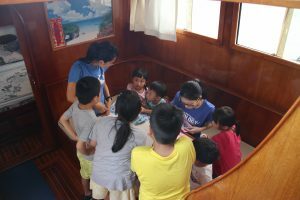 This boat trip was different from the usual ones as this time I was not going on a boat survey but a trip with few families. 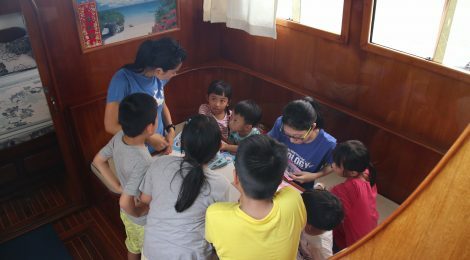 I was lucky to be given a chance to give a talk on the dolphins to the families. Even though I practised my speech a few times with Yuki and myself, I still missed some of the points in the real talk. With the help from Yuki, I eventually finished all my points that I needed to deliver to the families. 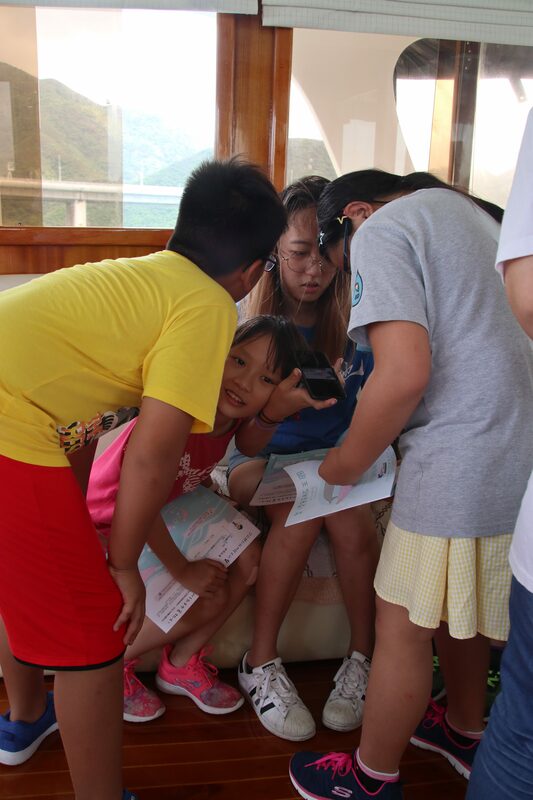 The kids were very excited to see the dolphins at the beginning of the trip but their attentions were soon distracted by their own games and Rebecca, one of the dolphin ambassadors. 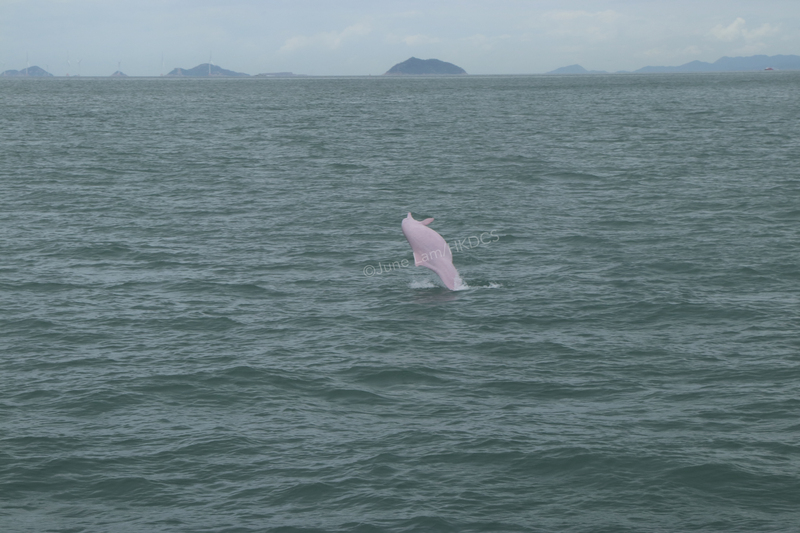 Parents are more interested in watching the dolphins. They even grabbed their kids and made them wait for the dolphins to show up again! 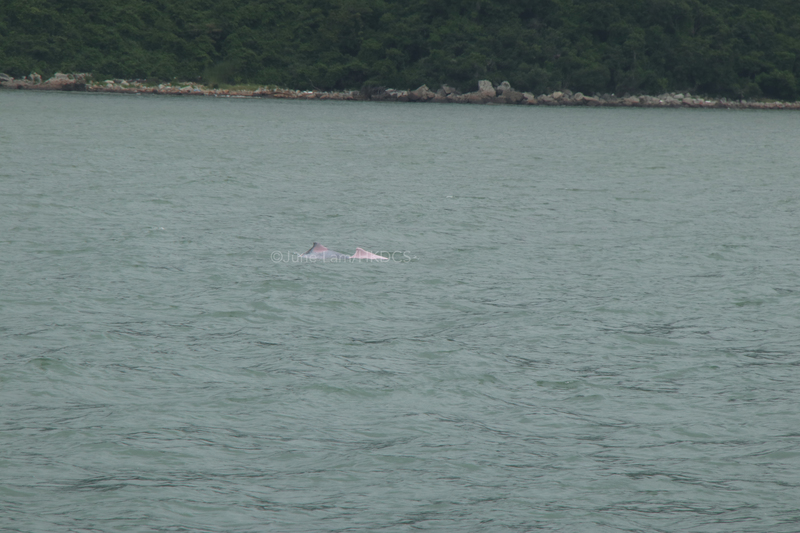 Regardless of the bad weather, the dolphins were super active that day. We saw a 3-combo breaching during one of our sightings. 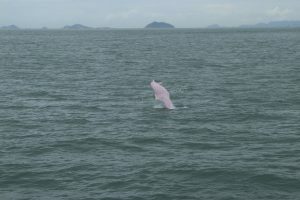 And there was one sighting with 17 dolphins appeared. 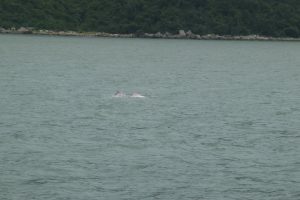 With these active dolphins, I was able to capture them with my camera. I even captured the moment when they were breaching. I made a GIF by using the photos the next day in office. It was just so amazing <3.